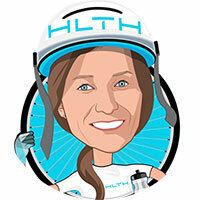 Constance is Chief Transformation Officer for HLTH, the world’s largest conference for health innovation. HLTH unites senior executives from across the health ecosystem into one exceptional experience where they can network, share provocative perspectives, learn, collaborate, and have a much-needed dialogue on leveraging disruptive innovations to reimagine and reshape the future of health. Formerly, Constance was Research Director within the Healthcare Industry Research Team at Gartner where she developed a track record of thought leadership on disruptive technologies and strategies that can modernize and transform the health industry.